THESE DRESSES ARE MADE TO ORDER ONLY, CALL IN FOR BEST PRICE AND DELIVERY SCHEDULE. 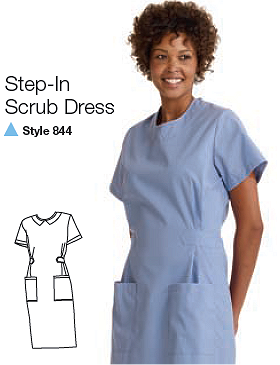 Our cotton blend step-in scrub dress features an overlap back with snap closure at the neck and center of the back to prevent gapping. The scrub dress also features two pocket, one with a scissor holder. 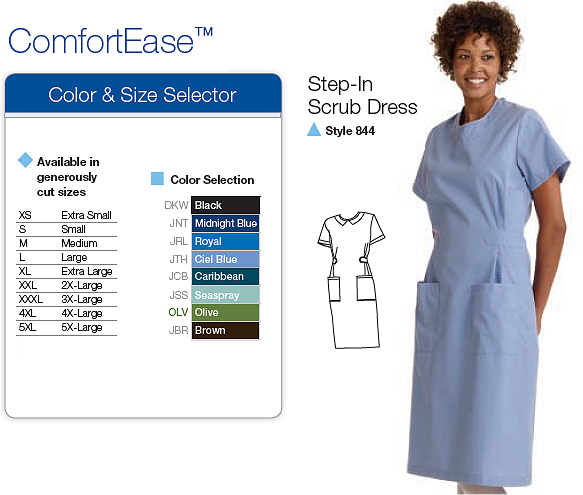 This scrub dress is pleated at the front waist and has adjustable ties in back. 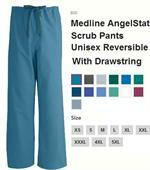 CAUTION: Medline & AngelStat scrubs run big. We are not kidding! Men should order (1) one size down from normal and women should order at least 1 size down. Please call (866) 267-3079 for sizing assistance.